Quick knockdown action with prolonged residual activity. Anti cholinesterase compound Interferes with nerve transmission. 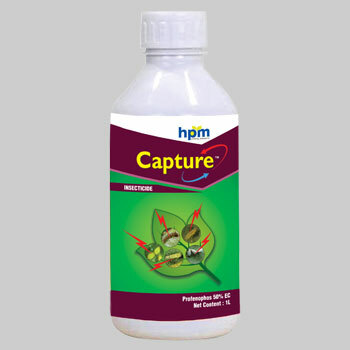 Capture, an organo phosphorus compound is a unique insecticide having strong contact and stomach action. Capture when sprayed on foliage is very effective for control of several chewing and sucking pests of cotton. Capture has exhibited excellent larvicidal and good ovicidal activity. Best Result can be obtained when applied against to third instar larvae. It is cholinesterase inhibitor; It is separate optical isomer,due to the chiral phosphorus atom,show different types of insecticidal activity and ability to inhibit acetylcholinesterase. When sprayed on foliage is very effective for control of several chewing and sucking pests of cotton. It has exhibited excellent larvicidal and good ovicidal activity. Profenofos metabolicpathway involves stepwise de-alkylation and hydrolysis,followed by conjugation. Effects on birds:it is very highly toxic to birds, bobwhite quail, and mallards. 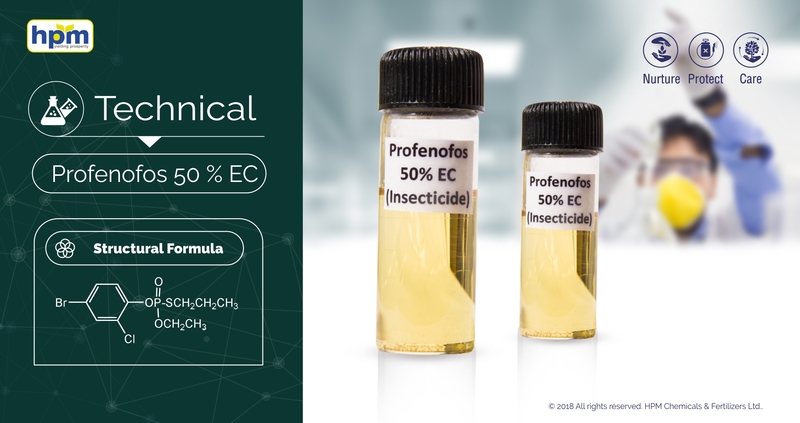 Effects on aquatic organisms:Profenofos is very highly toxic to fish. Bluegill,high toxicity for daphnia, highly toxic to crustaceans.It is toxic to bees.